There are more than 364 million open credit card accounts in the United States. Most people use one daily. This is typically true of businesses as well. In fact, most business owners have a credit card they use for any and all purchases. 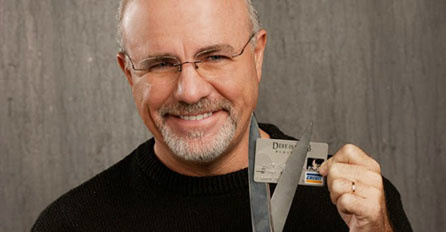 However, not everyone is aware of the many business credit card deductions they may be missing out on. As many of us are receiving our W2s and other tax paperwork in the mail, you may be searching for additional deductions you can make before you file. If you are a business owner or have a business credit card, be sure you make a note of these. Credit card interest charges. Ideally, you wouldn’t have any interest on purchases for your business. Every once in a while you may have to buy a large piece of equipment or something more expensive that you aren’t able to pay off in one swipe. If you are charged any interest throughout the year, you can deduct it from your taxes. Any swipe fees. At any point during the year, if you paid a service fee to swipe your business credit card, deduct the fee. Late fees. The same can be said of late fees. You can write off any late fees you paid last year. Annual fees. Some business credit cards have an annual fee. If your card does, you can deduct the fee from your taxes. Miscellaneous credit card fees. All in all, you’ll be able to deduct any fees or charges you paid last year using your business credit card. Be sure you note any fees you incur, so you have this information on file. Keep in mind, that these deductions are only available for business credit card transactions. You cannot write off fees and interest charges for any personal items. If you use your business card for anything personal, you’ll need to go through your statement and calculate the amount of interest paid on business dealings. However, it is best to use the card solely for business purchases to make tax season a little easier. Lastly, if you have any questions about business credit card deductions or other deductions available to you, it never hurts to consult a tax professional. At this time of year, many firms are running specials and can help answer any questions you may have. What is one of your favorite business or personal tax deductions? Paying off debt is difficult, but there are ways to make the experience a bit less painful. One of the most popular debt payoff methods is joining a group of like-minded individuals who share the same goal to get out of debt in 2019. A debt payoff challenge can ease some of the stress of paying down debt and provide support along the way. You may have heard of the infamous 52 Week Money Challenge, which helps you save money over the span of a year (or whatever timeframe you choose). Just like saving money, you can pay off debt with a similar challenge. What is a Debt Payoff Challenge? This debt payoff method is similar to a money challenge except you’re paying off debt instead of saving money. Often, debt payoff challenges occur with a group of people. Believe it or not, debt payoff challenges have proven to be successful, and have helped consumers pay off thousands of dollars in debt. It turns out, that if you approach paying off debt as a game or competition, difficult and daunting tasks like saving money or paying off debt become more interesting and easier to accomplish. 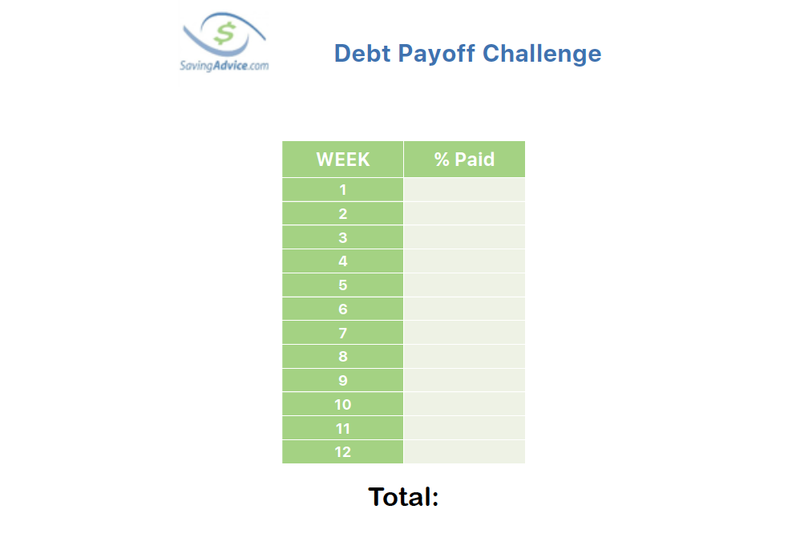 Just like money saving challenges, you can alter the debt payoff challenge to suit your specific needs. For instance, this year, you can take a 12-week debt payoff challenge and focus on smaller debts instead of the larger ones (i.e., student loans). If you have a debt amount less than $10,000, you could set your goal to pay off 35 percent ($3,500) of it over 12 weeks. Many participants opt to snowflake their debt (one of the most popular debt payoff methods) when possible while sticking to a strict budget to reach their goals. It’s often helpful to use a downloadable debt payoff chart like this one to keep track of your progress. It’s important to keep in mind that you can (and should) alter the challenge to suit your needs. For instance, extend the challenge over six months or a year, if that works better for you. This is often the most important piece of advice if you’re working toward paying off debt. First, it’s recommended that you have e a $1,000 emergency fund in place before tackling any debt. Then, you can begin paying off your small debts. For instance, if you have a couple of $100 medical bills that you need to pay, take care of those before tackling the rest of your debt. This tactic makes paying the big stuff easier because you’re no longer weighed down by the smaller amounts, and you get a sense of accomplishment early on. Next, you should identify the high-interest debts you owe and pay those. For example, after paying off your small debts, work on credit card debt or student loan debt. If you have multiple debts accruing interest, you will want to focus on paying off those with the highest interest before the others. You may have heard of “snowflaking” your debt. This means that any additional money outside of your base salary (i.e., birthday/holiday money, bonuses, additional income) goes toward your debt. If this type of debt payoff method interests you, you may want to also try the Debt Snowflake Challenge to pay off your debt this year. If you’re going to be serious about paying off your debt, any debt payoff methods you try should take priority. You should also create a new budget for the year, specifically with paying off your debt in mind. This could mean including a category for “additional bills” each week where you enter your debt payments. You might also need to scale down a few expenses such as transportation, entertainment, and beauty to make room for your debt payments. Or, even look for ways to make extra money. Although paying off your debt is a priority, be sure to make time for fun. If you spend all of your money paying bills and paying off debt, you’ll be miserable. When you make your budget out for your debt payoff challenge, be sure to budget some cash for entertainment or something you enjoy. After all, being well-balanced is important to personal finance. Looking for a debt payoff challenge group? Join our forums and start paying off your debt today. The All Cash Diet: Are You Up to the Challenge? It’s no secret that exchanging gifts and gift-giving are a huge part of the holiday season. However, if you’ve found yourself less excited about the entire process of exchanging gifts, you should know you’re not alone. It turns out, a lot of people would prefer to give up gift giving if their families allowed it and if they had any alternatives to buying Christmas gifts. According to a holiday survey in an online Harris Poll on behalf of Suntrust, a surprising 7 in 10 people said they’d skip gift-giving this season if it were okay with their friends and family. And, it isn’t just the Grinchy types who hate the season. For the most part, they would rather spend the time actually doing something with their friends and family members than on buying or making gifts. For a lot of people, the holiday season comes with stress and anxiety. When you add the obligation of gift exchanges, a large number of Americans face a tremendous amount of financial anxiety. This means not only worrying about debt and money during the season but also feeling the pressure of spending money on things they really cannot afford. In fact, this pressure to overspend has been proven to result in a mountain of debt after Christmas is over. And, with as many as 25 percent of Americans experiencing post-holiday depression, gift-giving and the financial aftermath can be especially difficult for many families. So, if you decide to forego gift-giving, can you still have a joyous holiday season? The answer, of course, is yes. It doesn’t take buying and receiving gifts to enjoy the holidays with your friends and family. Of those surveyed, 25 percent said they would rather use the money on activities and experiences instead of gifts. You might want to consider some of these alternatives to buying Christmas gifts. Take a family trip or plan an activity. It can be as large or as simple as you all agree on, from doing an escape room together to taking a family trip skiing. In any event, it might be cheaper even if each family covers their own expenses, than buying each person a small gift. Plus, you can plan the event at any time of the year – it doesn’t necessarily have to be on Christmas day – which could save you money as well. Have dinner and watch a movie. You don’t have to skip the entire Christmas day festivities. You could still get together for a holiday meal and then plan to watch Elf, A Christmas Story, or any other of your favorites. Volunteer together. An activity that not only teaches children the importance of volunteering is helping out over the holidays. Sure, it might be difficult explaining that they’re helping feed people who can’t afford a Christmas dinner instead of receiving gifts, but the feeling you get from helping make someone else’s Christmas a little brighter might make up for it. Pay down debt and save together. This might not be an alternative that sounds like fun either, but in the end, it might bring everyone more joy than exchanging gifts. Of those surveyed, 37 percent said they would rather pay down debt and 47 percent said they would save money or invest. Each person/family can use the money they’d use for gifts to either pay down debt or save for a big family trip or event later. Don’t forget that finding alternatives to buying Christmas gifts doesn’t necessarily mean you have to completely skip out on giving toys and gifts, especially to the kids. If you only replace gift-giving among the adults, it can make a significant difference to those with large families and huge networks of friends. It isn’t too late to reach out to your friends and family members and come up with a different plan. Remember that Christmas and the holiday season are supposed to be joyous and happy. Don’t spend it worrying about the money you feel obligated to spend on gifts. Would you give up gift exchanges if your friends and family members agreed to it? Share your thoughts in the comments below. About 26 percent of Americans between the ages of 18 and 64 struggle to pay their medical bills. That is 52 million people who don’t know how they will cover the costs of simply maintaining their health. If you feel like you’re drowning in your medical debt, there are places that help with bills. Let’s take a look. Searching for places that will help you pay your medical bills is easier than you’d think. In fact, there are usually quite a few local organizations that will be happy to help you back on your feet. Some will even provide personal financial counseling to ensure you don’t find yourself up to your neck in debt again. Below are a few places you may want to reach out to if you’re having trouble keeping up with medical bills. Local churches are known to help people out with just about anything. They will often lend a helping hand with housing, transportation, food, and, on occasion, they will also help you pay medical debt. This usually only applies if you attend the church regularly. However, if you know someone within the church, it is possible to receive some help that way too. Not every city has a Crisis Assistance Ministry. However, if your city does, it’s one of the few places that help with bills. Crisis Assistance doesn’t just help you pay bills either. They help you get back on track by providing counseling to ensure that once you have recovered, you don’t end up in the position again. On top of helping with medical bills, they also help with food, transportation, and housing, as well as job placement. There are some government programs that can assist you in paying your medical bills. The U.S. government has programs to assist with paying utilities, prescriptions, and telephones. It is important to note, however, that you will need to meet certain criteria to receive this assistance. In most cases, you need to have income 135 percent or less than the federal poverty guidelines. Helping meet basic needs is the entire goal behind the Salvation Army. Although they may not be able to help pay your bills in every instance, they are a great organization to reach out to if you are in need. Most of these are small non-profit organizations that help with paying different bills, food, and basic necessities. These are often like Crisis Assistance or similar organizations. Search for non-profits in your area to see what may be available. United Way offers a 2-1-1 program that helps individuals locate the help they need in their immediate area. This service is available 24 hours a day, seven days a week. Learn more about the 2-1-1 program here. Each of the organizations listed above are places that help with bills, food, transportation, housing, rehabilitation, and more. If you’re ever in need, don’t feel like you are alone. These organizations were put in place to help YOU (and others) when you’re in need. Don’t hesitate to get assistance. 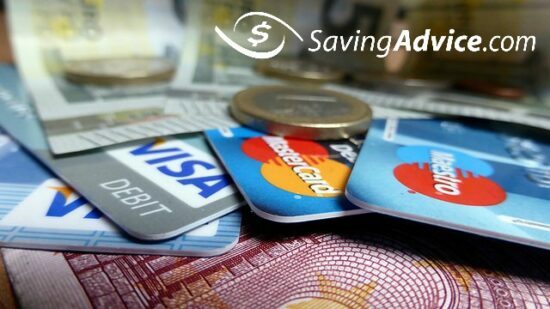 If you’re looking for some additional suggestions and personal finance advice, head on over to the Saving Advice forums. Paying Fewer Bills Is Better Than Not Paying At All!